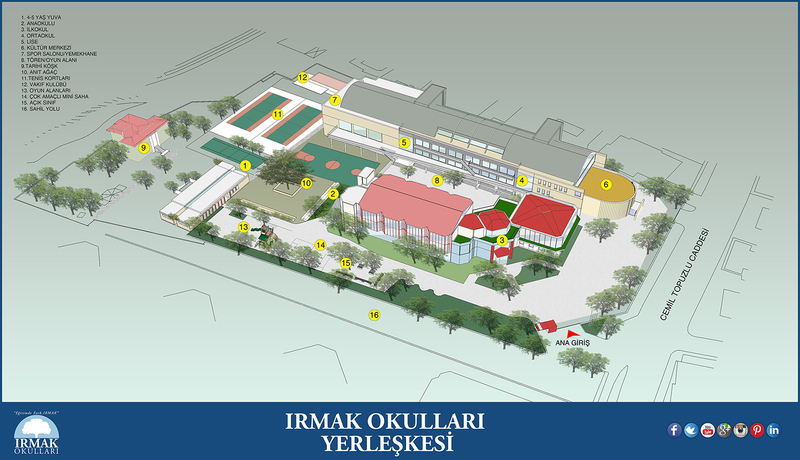 Private Irmak High School which adopts continuous development as its basic principle and constructs its unique academic curriculum with universal values, communication, holistic learning and intercultural awareness is proud of the interest to our students from overseas universities. 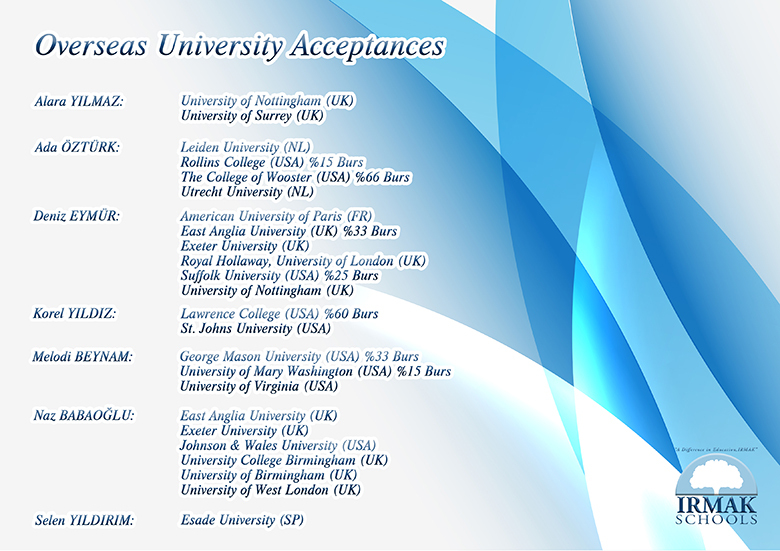 Private Irmak High School graduate candidate students are receiving applications from the distinguished universities around the world like each year. It is a great honor to see that Irmak High School students’ success in Turkish and overseas universities is increasing each year. This page was created on 25.3.2019 13:52:22 and has been visited 516 times.